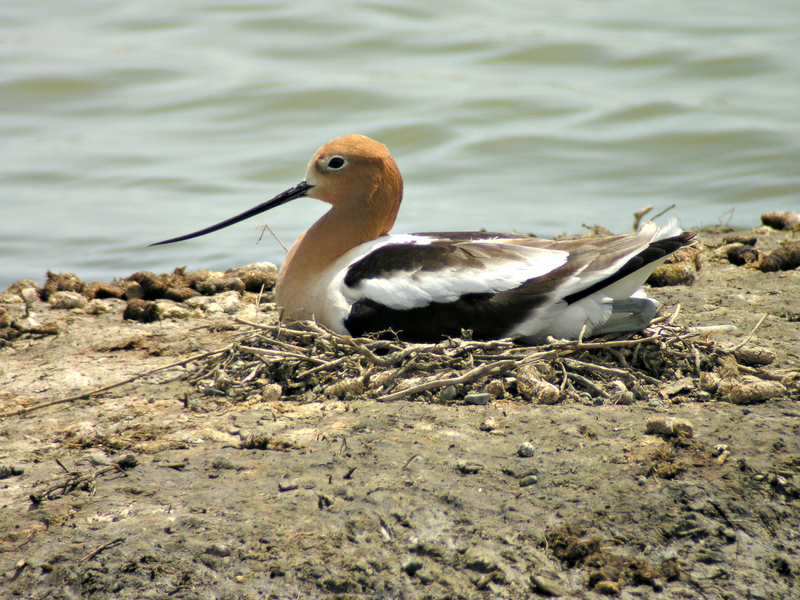 American Avocet on nest. Both parents brood the eggs and care for the young. Bill on this one suggests it's a male.